The Supreme Court today issued notice to the Health Ministry on a PIL which sought immediate implementation of plain packaging rules for cigarette and other tobacco products saying jazzy covers and those with messages only attracted more consumers. 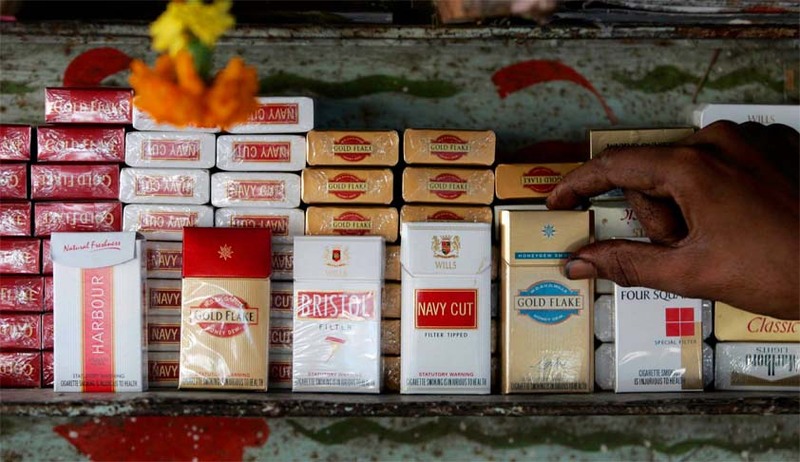 Petitioner Umesh Narain Sharma, an Allahabad-based lawyer said that cigarette and bidi companies were violating the rules pertaining to pictorial warnings on packets of cigarettes and other tobacco products. The Union Health Ministry had in September 2014 issued a notification making it mandatory for cigarette manufacturing companies to carry statutory warning against smoking on both sides of a cigarette pack with pictorial depiction of throat and mouth cancer a and covering at least 85 per cent of the packaging. Appearing for Sharma, himself bed-ridden after being afflicted by tongue cancer after constant use of tobacco products for the past 40 years, advocate Aishwarya Bhati said the tobacco companies were trying to divert attention of the customers from the pictorial warning by publishing various colourful pictures and messages on them. She argued that what was required was plain packaging in addition to the pictoral health warning as per provisions of Cigarettes and other Tobacco Products Act, 2003. Bhati argued that even the pictorial warning at present in packets of several companies occupied less than 40 percent of one side which was mandatory as per the Health Ministry rules. The PIL said Allahabad High Court had recommended immediate implementation of plain packaging of cigarette and other tobacco products. Despite high prevalence of tobacco use and over one million tobacco related deaths yearly in India and despite clear recommendation of the Allahabad High Court to implement plain packaging of cigarette and other tobacco products,Centre has taken no steps to discourage attractive packaging of tobacco products and implement plain packaging, the PIL said. The PIL contended that presently in India tobacco products are packed in very attractive packaging to entice youths to take up tobacco consumption. Such packaging also draws attention away from health warning and make them redundant. Therefore, to counter this tactics of the Industry, plain packaging is the best strategy which would prohibit brand colours, logos and graphics on tobacco packages, thus eliminating package as mini-billboards that promote tobacco.